With the January 2017 semester in full swing and a new SGA President elected, we asked Mayuri Patel to discuss her new role and expectations. IAU: Why did you select the field of medicine? Mayuri: I like to learn about the human body and how it functions daily! And thus I chose medicine as it is such an interesting subject to learn about. IAU: Why did you choose IAU? Mayuri: I received good reviews from previous IAU students and also heard about the USMLE Step 1 success rates from IAU. IAU: Why did you run for SGA President? 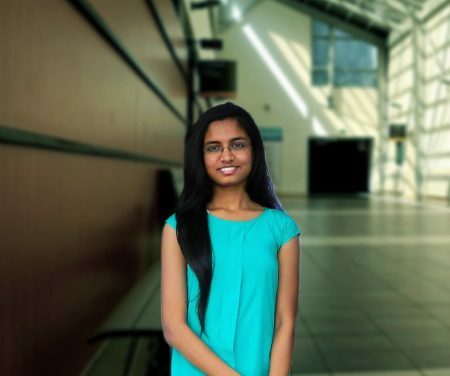 Mayuri: SGA President was a really good opportunity for me to work on my leadership qualities and to work in a team along with faculty and staff for the betterment of students. IAU: What will be your role as President? Mayuri: My role as a president will be to address the students’ issues and also keeping updated on everything that is going on in the University. I have a part in organizing extra-curricular activities for the students and to be part of change at IAU. IAU: What are your expectations in your new rule? Mayuri: My expectations are to do something new during the semester. I have been working as to how I can make changes in the extra-curricular activities and make it more interesting for students to participate apart from their academics. Students also need to understand the importance of developing other qualities such as leadership skills, communication skills, and public speaking. I am also looking forward for the new review program that will be taking place on the island soon. IAU: Are there any particular issues that you want to address as President? Mayuri: There are always some minor issues but I am sure once we all work together to bring solutions then there is nothing to worry about. We are proud of the new SGA members for working for a common cause and towards the betterment of the student body.